Learn how thymol blue responds to pH changes in a solution! 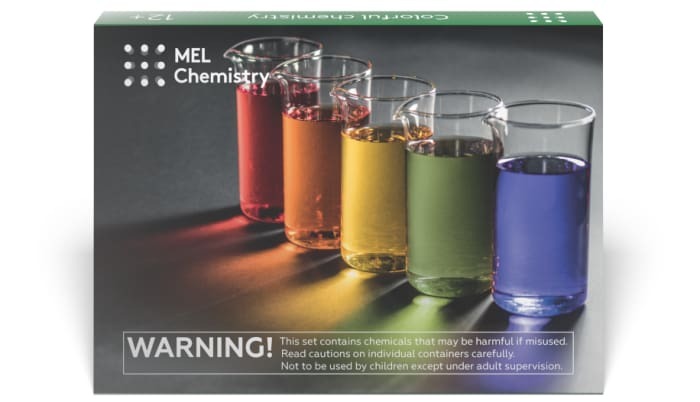 This experiment is included into "Colorful chemistry" kit along with "Color changing milk" and "Magic liquid". Subscribe and get everything you need to do this experiments at home. Why doesn’t the solution turn blue completely once we add sodium carbonate? The solutions mix slowly because the sodium carbonate solution is denser than the solution in the Petri dish. 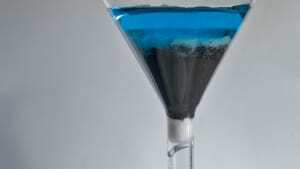 When the two are combined, the sodium carbonate solution sinks to the bottom of the Petri dish, and a blue "border" forms between the solutions. When stirred manually, the contents of the dish instantly change color. Density is an important property of a substance. We deal with density in our everyday lives when working with liquids and solids. Density is determined first and foremost by the nature of the substances that an object is made of. For instance, a plastic fork is much lighter than a stainless steel fork of the same size, since steel is 5.5 times denser than polyethylene terephthalate (PET). I still have leftover thymol blue, but the other ingredients are gone. What can I use to substitute for them? You can use various water-soluble substances of varying acidity to create patterns just like in our experiment. For example, a solution of regular baking powder has an alkaline pH (in other words, the solution is basic). When making this solution, use hot water to help the baking powder dissolve more easily. You can also use smelling salts which, when dissolved in water, form an ammonia solution, which is also a basic medium. However, this solution exudes an aggressive odor, so it’s best to work with them in the open air or in a well-ventilated area. Meanwhile, you can use solutions of citric or acetic acid to serve as your acidic medium. Prepare a sodium carbonate solution. This is an alkaline solution—its pH is higher than neutral. Add the pH indicator thymol blue. In an alkaline solution, it will turn blue. Now add sodium hydrogen sulfate NaHSO4 (an acid salt) to lower the pH of the solution. Now add sodium carbonate Na2СO3 (an alkaline solution) to raise the pH of the solution. You can repeat the two previous steps several times. Try adding varying volumes of NaHSO4 and Na2СO3. Thymol blue turns blue when added to a basic medium. 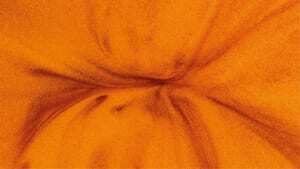 If an acidic solution of sodium hydrogen sulfate is added to it and the mixture is stirred gently, orange patterns will appear in the Petri dish. The addition of some substances increases the concentration of H+ ions in the solution, lowering the solution’s pH. Here, the substance in question is sodium hydrogen sulfate NaHSO4. The addition of some other substances increases the concentration of OH– ions in the solution, raising the solution’s pH. Here, the substance in question is sodium carbonate Na2CO3. When combined, H+ and OH– make water H2O . This process is called a neutralization reaction. We can use our pH indicator to observe how the acidic medium (low pH) created by NaHSO4 is neutralized by the basic medium (high pH) of Na2CO3, and vice versa. Neutralization reactions take place even in our own mouths. After we eat, our mouths create an acidic environment, which can hurt our teeth. Our saliva fights this reaction and neutralizes the acidic medium. Moreover, many bubbly drinks have a low pH; if you drink them a lot, it hurts your teeth because your saliva can’t neutralize everything fast enough. Why does thymol blue change color? Thymol blue changes color depending on the medium it is in. In other words, it is a pH indicator. In a basic medium, it turns blue; in an acidic medium, it turns red; in an almost neutral medium, it turns yellow. Blue, red, and yellow are considered ‘primary’ colors because combining them can yield many additional variations: blue + yellow = green, yellow + red = orange, red + blue = violet. You can create these combinations in your Petri dish too! Just stir the contents gently with a wooden stick. How does acidity of the solution in the Petri dish change? The acidity of a solution depends on its ratio of positively charged hydrogen ions H+ (protons) to negatively charged hydroxide ions OH-. A solution is acidic if it contains more H+ ions than OH- ions; conversely, it is basic if it contains more OH- than H+. Ordinary water is practically neutral: the numbers of H+ and OH- in it are almost equal. However, some substances can increase the concentration of H+ or OH- ions, thus increasing or decreasing the pH respectively. This abundance of hydroxide ions makes the solution in the Petri dish basic. Thymol blue turns blue when added to the solution, confirming this. The solution becomes acidic as soon as sodium hydrogen sulfate is added to the Petri dish. As we add reagents to different places in the Petri dish, the solution’s acidity changes unevenly. In some places, H+ ions dominate, while OH- reign in others. As a result, the thymol blue peppers the solution with a variety of colors. 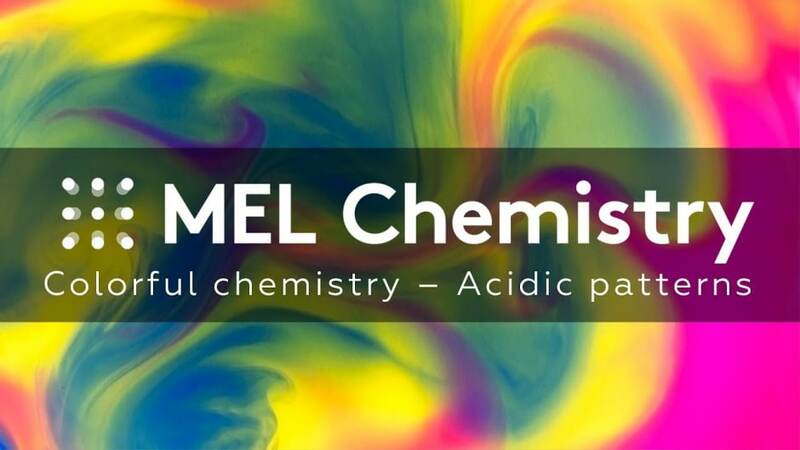 When mixed, the acidity of the medium becomes uniform all over the solution, so the thymol blue color becomes uniform as well. How does pH level affect living organisms? A pH value reflects the level of “acidity” in liquids. In other words, it indicates the concentration of hydrogen ions H+ in solutions. All animal organisms contain liquids in various forms - for instance, blood, lymph, and digestive juices. A body constantly regulates its pH levels on its own, as significant changes in pH would cause potentially fatal damage. If the concentration of hydrogen ions in the body suddenly changes, those ferments which are proteins by their nature, start failing at their functions. They might uncontrollably coagulate, break down, or decompose. Furthermore, when ferments aren’t working properly, it slows down the reactions they are supposed to participate in, and cells in the body start dying of hunger and energy deficiency. Human blood has a pH of 7.35–7.45. If its pH drops to 7.0 or below, this can result in a coma or even death. On the other hand, if its pH rises above 7.45, it may cause convulsions and fainting. In our body, the pH levels of various liquids aren’t so much influenced by ambient environmental conditions as they are by what we drink and eat, how much we sweat, and our overall health. The same can’t be said for species that live in water. They have no choice but to adapt to the pH level of whatever water reservoir they’re living in. The acidity of a lake or a river thus determines who lives in it. In general, fish, seaweed, and invertebrates prefer a neutral environment with a pH level of 6.5-7.5. They simply wouldn’t survive in a different environment. However, there are certain animals that can survive a strongly acidic or strongly alkaline environment. They are called extremophiles (meaning “lovers of extreme conditions”) and primarily consist of unicellular organisms and bacteria. Bacteria that can survive in a strongly acidic environment (with pH=3 or lower) are called acidophiles. Acidophilic bacteria include lactic acid bacteria and acetic acid bacteria that produce corresponding acids, thereby influencing the acidity of the solution they reside in. These acids are produced as a byproduct of their feeding cycle. Such bacteria affect their surroundings unintentionally, but their abilities are often exploited in the food industry to produce alcohol and dairy products. Interestingly, there are also multicellular organisms among the acidophiles. For instance, rotifers, microscopic creatures resembling tiny insects, grow in peat bogs at pH levels as low as 3.8 - you wouldn’t find them in neutral or basic water basins. Desmids, which reside in swamps, also prefer low pH levels. 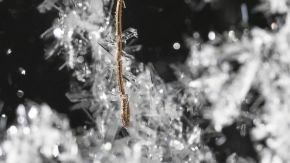 Alkaliphiles: surviving in an alkali. Organisms that live in a strongly basic environment (pH 9 -10) are referred to as alkaliphiles. Bacteria belonging to this group of organisms reside in calcareous soils. In order to survive, these bacteria constantly absorb hydrogen ions to maintain a pH of about 8 inside their cells. Which of these common substances are acidic, and which are basic? Try to guess which of the liquids listed below are acidic, and which are basic. 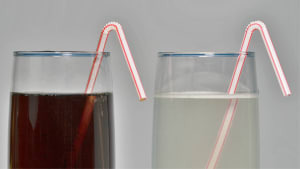 Because both of these liquids contain acids, they have a pH of 1–3. Lemons are sour because they accumulate citric acid when ripening. And gastric juice contains hydrochloric acid that is produced by the stomach and is required for digestive enzymes to work properly. Their pH ranges between 3–5. Many carbonated drinks contain acid – for instance, orthophosphoric acid is added manually to Cola. Coffee is less acidic. Liquid drain cleaner (pH>10) contains sodium hydroxide (40–60%) and potassium hydroxide (5–10%), which partially dissolve organic clogs in pipes. Ideally, drinking water should be neutral. In reality, of course, it’s not! Drinking water (pH=7) is a hypothetical reference point, a neutral medium with an equal concentration of Н+ and ОН- ions. Regular drinking water always contains impurities and ions that influence its pH value. Moreover, mineral water can even have a pH of 6 or 8. Very pure, or deionized, water (which has been treated to remove impurities) approaches the reference point, but still slightly deviates from pH=7. Usually slightly alkaline, but can also be acidic if there are certain issues in the oral cavity or in the stomach. Saliva’s pH varies between 6.6–7.4. Our body tends to maintain its acidity close to 7 in order to suppress the growth of malignant bacteria. Saliva also helps balance out pH if we eat something sour -- for instance, it partially neutralizes the acidic activity of carbonated drinks. Seawater (рН=7.5–8) contains various salts of strong bases and weak acids (carbonates) that donate their [ОН-] ions. 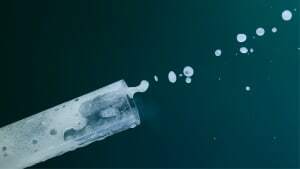 Because the quantity of these salts exceeds the quantity of [H+] ions, seawater’s acidity is lower than that of regular water, and its pH is higher. Tea (рН=5.5) boasts an astringent flavor because of tannins, and it is slightly acidic because of the way it’s been treated, or fermented.